"Shelley I would like to inform you that due to attending recent courses such as confidence building, healthy eating etc, my client has sourced his own application to college for a basic catering skills course (starts tomorrow) this is a massive deal for him and he would like me to pass on his gratitude and will attend any training on Thursday's from here on." "It has been a real pleasure having Shelley as my coach. She is up-beat warm and supportive and I immediately felt at ease with her coaching style. Shelley has a particular skill at getting to the core of the issue which I found tremendously helpful so even when I was unclear, Shelley's direct approach would always produce results. She has helped me overcome blocked states and get strategies in place for organising my business. I would recommend Shelley as a coach to anyone wanting to make rapid progress. She is a true professional!" "Shelley is one of the most positive, passionate and committed people I have ever worked with. 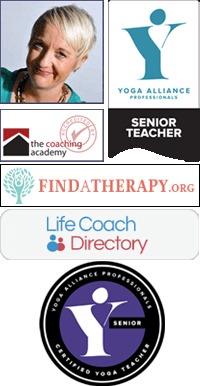 She believes wholeheartedly in helping others to achieve their goals through coaching and personal development." "Shelley is an energetic, passionate individual who focuses on positive outcomes. She is committed to developing herself and others and has a natural flair for training and coaching. I would not hesitate to recommend her." "Shelley adds a real burst of sunshine and enthusiasm to everything she turns her hand to. Her joie de vivre is endless and infectious to everyone who works with her. A real inspiration." "Shelley is a whirlwind of energy and enthusiasm. She has a wonderfully optimistic outlook on life, which compliments her work as a business coach. I trust Shelley with my innermost thoughts and dreams. I look forward to working with Shelley again." Shelley Edwards is the preferred partner for delivering our Customer Empowerment Workshops to Care and Support customers. Her delivery of the workshops taps into the many learning styles that a group with Learning Disabilities and Difficulties will present. Shelley is always happy to design bespoke material to fit the needs of the delegates and change her lesson plan and materials at a moments notice. This is why we will continue to use her services at Family Mosaic. "Shelley Edwards delivers results with passion, motivation and energy. Both the content and the presentation style of her workshops form a solid foundation for building confidence. Shelley has a unique way of engaging with her clients and equips them with practical applications to make immediate changes in their lives. She is a true inspiration to those around her." I started my coaching journey with Shelley in August of last year (2018) and completed a total of 12 sessions (2 sets of 6) and have just been signed off (January 2019)! I have been struggling with anxiety and depression for many many years and Shelley has helped me immensely to relieve my worries and negative thinking with the huge number of techniques she knows. She is very very qualified and there is always something she can do to help you. She also has a huge range of books too which she lends you if she thinks there is something which will be helpful to you. Shelley is a really approachable, fun-loving and caring person who will always make you feel comfortable even when you're crying or feeling really low. Her amazing, positive energy straight away makes you feel happier; she always has faith in you and encourages you that you can do anything. I have received a lot of help over the last 7 years and Shelley is by far the best person I've seen. I would most definitely recommend Shelley to anyone suffering with a low mood, depression or anxiety as the work she has done has really benefitted me; It's nice to be able to say I'm a happy person now who looks forward to the future!